Before you freak out about Ebola coming to the United States, don’t worry. The National Institutes of Health (NIH) is the best place an Ebola patient can probably go, not just in terms of treating the virus but also limiting exposure to anyone else. The American health worker infected with the Ebola virus will be admitted Friday morning to a NIH containment facility in Bethesda, Md., the organization announced Thursday. The NIH Clinical Center’s Special Clinical Studies Unit (SCSU) is designed with high-level isolation capabilities and is staffed with a group of specialists who are trained in treating infectious diseases like Ebola, NIH said in a statement. Access to the unit will be strictly controlled. The organization said it would take every precaution to ensure that its staff and the public were safe. The NIH, a division within the U.S. Department of Health and Human Sciences, is the nation’s leading medical research facility whose mission is to discovery and innovate new strategies to improve the country’s health. It invests around $30 billion in medical research every year for the benefit of Americans, according to its website. On its website, the NIH provides a step-by-step Ebola guide on how doctors and hospitals can prepare and protect themselves from the virus. In fact, this is the second Ebola patient to come to the NIH Clinical Center. 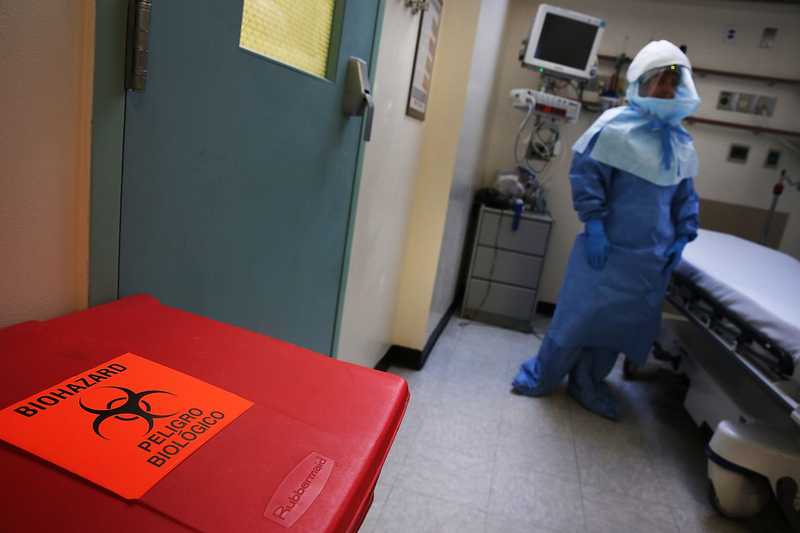 The previous patient was successfully treated and released Ebola-free. The NIH said in a statement it had once admitted two people who were highly exposed to the virus but weren’t found to be infected.